This statistic gives information on the percentage of U.S. YouTube users who regularly watch favorite YouTube channels as of February 2017. 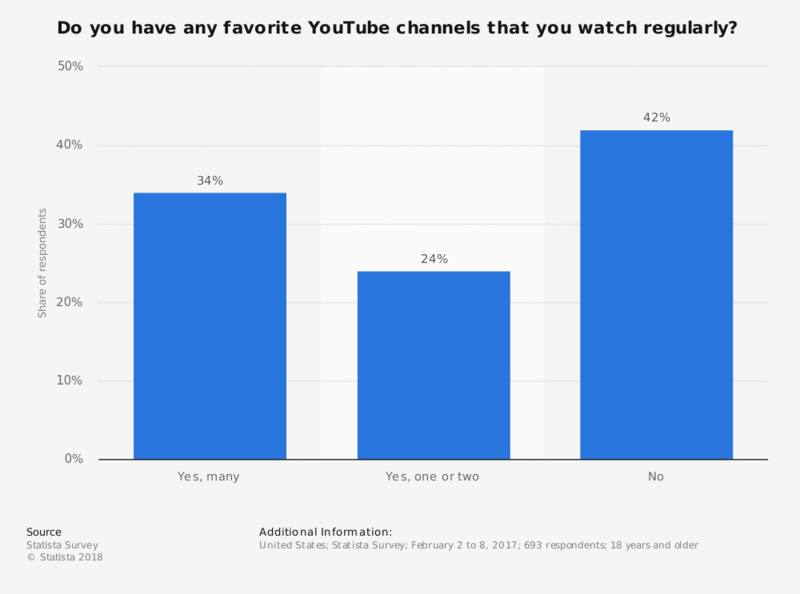 During the survey, it was found that 34 percent of YouTube users had more than two favorite channels they watched regularly. As of February 2017, PewDiePie was the most popular channel on the platform, according to the number of subscribers.